Like most moms (and dads, of course) I never thought to prepare myself for what it would feel like to lose a child. I’m not talking about losing him in the mall or losing him in a crowd; I mean to lose him forever. We were so immersed in the business of living that it never occurred to me that anything life threatening might happen to my Angel Boy. Health and fitness has always been a priority. I woke up at 6:15 a.m. to make a hot and nutritious breakfast for my little guy. I’d wake him at 6:30 with a kiss and and a song — “New day, time to wake up!” At 7:30, we’d leave the house to walk our dog for about thirty minutes, chat about the day, and practice spelling or math as we made our way to his school for the first bell at 8:00. I figured if I did everything in my power to build a healthy and strong human, he’d be that way forever. Do I even need to state the obvious that he was (is) my entire world? I never thought of how dreadfully painful it must be to look at the calendar every year and know that your child’s birthday — the date of his birth–is approaching and all you have is a memory. I honestly can’t imagine the pain. How does anyone survive that kind of loss? At 9:52 on March 23, 1981, my most amazing boy child was born. Since then, I’ve cherished every breath he inhales as much as the first one. April 29, 2014 might have been the date of his last breath. It doesn’t matter where I am; even when I’m asleep — in my dreams, I’m transported back to the hospital. That feeling of helplessness — In the surgical waiting room and then (with DIL) the ten days of twenty-four hour round-the-clock bedside vigil. …not taking one single deep breath for months, actually. On that day, that dark day, those dark days, none of us were sure we’d be celebrating anything ever again. My mind replays that what if tape all the time, even though the nightmare is over. Really over. That’s why this birthday is a very happy one. He runs, he bikes, he camps, he hikes, he surfs. ♥ ♥ ♥ On a happier note, what does an ‪#‎emptynest‬ mom do when she can’t be there in person to bake her Angel Boy’s birthday cake? She finds a a vegan bakery in New Jersey, Bear Hug Bakery, and commissions a cake to be delivered to his office today at ‪#‎Rutgers‬. One layer of vanilla cake, one layer of chocolate, raspberry cream filling, and covered in ganache. YUM!!! Mom Tip #276…it’s never too late to embarrass your child. Happy 34th Birthday, Angel Boy!! 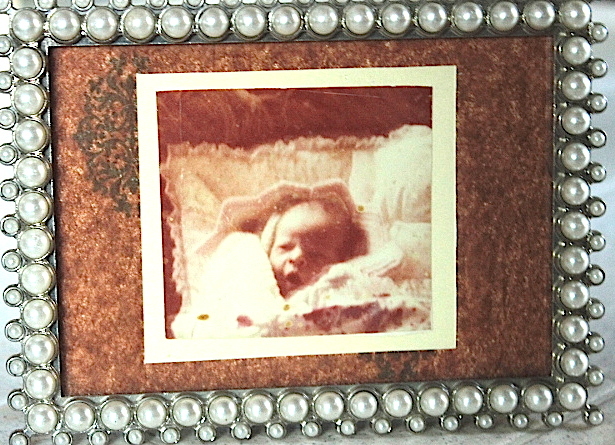 This entry was posted in All Posts, Being a Mom and Grandma, My Enchanted Life and tagged Birth and death, Birthday, grief, Health and fitness, Losing a child, New Jersey, Rutgers University by Enchanted Seashells by Princess Rosebud. Bookmark the permalink. I remember that time vividly, as painted through your posts. Blessings to you and yours as you celebrate his birthday!! Thank you so much, my friend. It was def an agonizing time, my heart goes out to those who don’t make it to the other side. Me too! It was getting awfully hard to hold it in all this time! I like tip #276. I hope you both enjoy the day. He’s in NJ, I’m in SoCal, didn’t get to see him this year, but I know he loves the cake to share with his co-workers. A little embarrassment is a good thing! Well … did he get embarrassed? It was a success! Only slightly embarrassed, not enough to cause him to hate me forever haha, plus the cake was delicious, so it was a win-win, thanks for asking! Sweet lovely princess – this posting makes me tear up and I remember last year – nothing like a happy ending!!!!!!! No tears allowed, this is happy ending time, right? Although I have to admit it’s going to be difficult to be around here on the actual anniversary of that terrible day, but hub’ll be home then, and he makes everything OK. Let’s shop!!! my husband is in CA right now for business – me thinks next time I tag along and we get our shop on!! YESSSSSSS! That would be SO fun.